Start by making a time to talk to your financial adviser or tax specialist to ensure that you get the best after tax outcome. If you’ve had high income or sold an asset which has resulted in a capital gain this financial year, then you may be facing a fairly large tax bill. 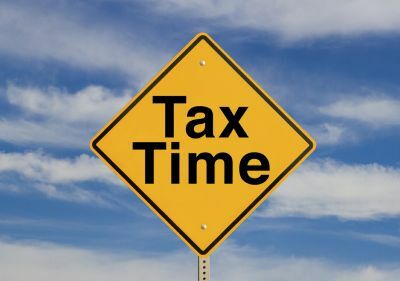 There may be things you can do to reduce your taxable income before 30 June. Remember, fees for ongoing financial and tax advice may be tax deductible. Having all your information at hand will help your year-end preparation. Many of us leave the collation of dividend and bank statements, receipts and expenses to the last minute. Make time to organise them earlier, or better yet, implement a system that assists you to manage this task throughout the year. If you are due a refund, it is beneficial to get this money sooner rather than later. Certain expenses such as the interest expenses on an investment loan, or your income protection policy premium can be brought forward by 12 months and prepaid in the current financial year. Prepaying eligible expenses will provide you with the ability to claim the deductible expense against this year’s accessible income. Depending on your situation, it may be worthwhile topping up your super. If you are under age 50 the maximum threshold for pre-tax contributions to super (including SG contributions, salary sacrifice or tax deductible contributions if you are self-employed) is $30,000, if you are age 50 and over the threshold is $35,000. You may also qualify for a tax offset for contributions you make on behalf of your spouse. You may have been thinking about giving to a deserving charity this year and prior to 30 June is a great time to do so. When you donate to a charity or Deductible Gift Recipient your generosity not only provides financial assistance to others, but can also entitle you to a tax deduction. When it comes to planning for the end of financial year, the trick is not to leave it to the last minute! A little bit of preparation now can save you both time and money. While you’re at it, you might also want to check out these Top 10 Financial To-Dos to get your financial affairs in top shape for the new financial year.